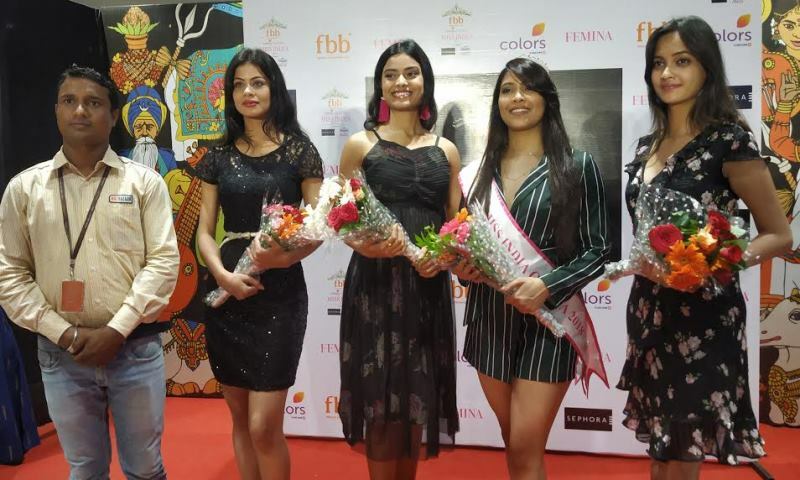 Bhubaneswar: Three girls from Odisha have been selected for the nest round of Colors Femina Miss India 2019. Odisha’s Tamanna Vyas, Sheetal Sahu and Arupa Rath were selected during the Odisha auditions of the beauty pageant which was held at Esplanade One Mall here on Saturday. Over 100 participants took part in the audition which was judged by Shrutiksha Nayak, fbb Colors Femina Miss India Odisha 2019 and ace fashion designer Reemly Mohanty. The selected participants (Tamanna Vyas, Sheetal Sahu and Arupa Rath will go to the East Zonal Crowning ceremony to be held at The Westin Kolkata on 23rd April which has come on board as the Hospitality and Venue partner. The most deserving candidate from each of the five states of the East Zone i.e. Miss India Chhattisgarh, Miss India Bihar, Miss India West Bengal, Miss India Jharkhand and Miss India Odisha along with the State Winners of Assam, Arunachal Pradesh, Manipur, Meghalaya, Mizoram, Nagaland, Tripura and Sikkim will represent their state at the grand finale which is going to be held in Mumbai on June 15, 2019. The grand finale of fbb Colors Femina Miss India 2019 will be telecasted between 1 pm and 5 pm on Colors TV and at 5 pm on MTV on June 30 (Sunday).